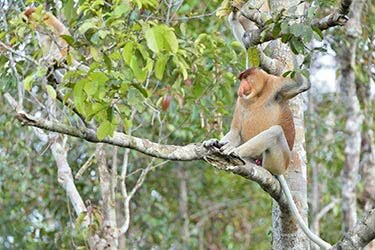 This 10-day adventure brings you deep into Indonesian Borneo, the gorgeous natural habitat of colorful wildlife such as orangutans, hornbills and proboscis monkeys. 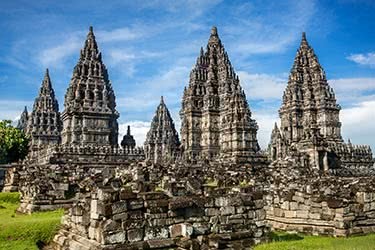 When you’re not cruising through mangroves and rainforests, you'll be exploring some of the most prolific spiritual and historical sites in Yogyakarta, including ancient Hindu and Buddhist. 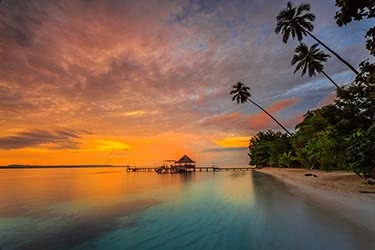 You'll also enjoy downtime in the spectacular Karimunjawa Archipelago, where you'll have free time to dive local reefs and wrecks, and swim in the sparkling Java Sea. 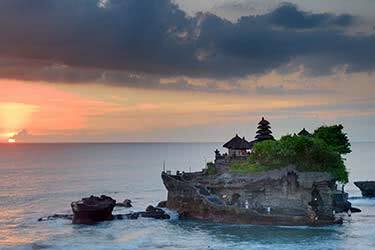 You'll start your 10-day journey in Indonesia's frenetic capital, Jakarta. 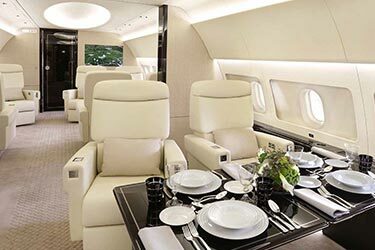 After being greeted at the airport, you'll be chauffeur-driven to your luxury hotel. 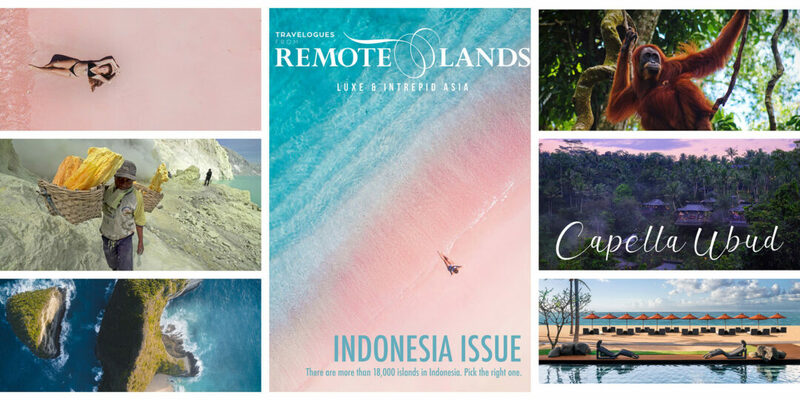 Jakarta is a cosmopolitan city with plenty of great accommodation options – we recommend the luxurious Ritz-Carlton or the elegant and historic Dharmawangsa Hotel. After check-in, enjoy the remainder of the day at your leisure - shopping and fine dining are two popular activities in Jakarta. 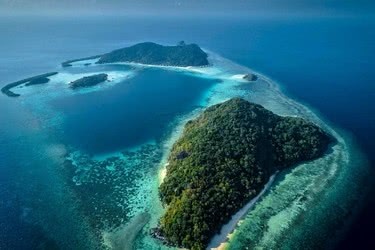 Begin the day early with gourmet breakfast at your luxury hotel before being transferred to the airport for your flight to the island of Borneo. 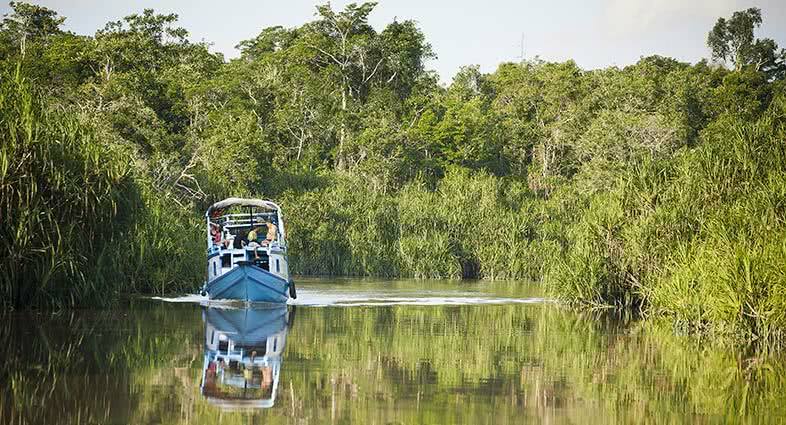 You'll touch down in the riverside town of Pangkalan Bun, where you'll be greeted by your guide and transferred to Kumai, 20 minutes away. 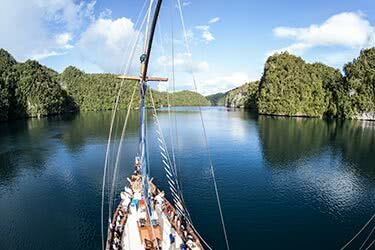 Here, you'll join a live-aboard boat, where you can relax and enjoy lunch as you make your way along the Sekonyer River to Rimba Lodge, your accommodation for the night. 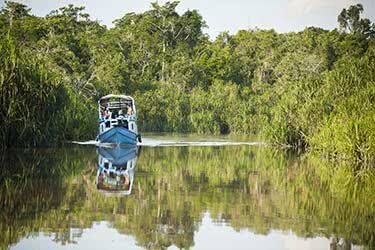 After you've checked in, you'll join a short afternoon expedition along the river, on the lookout for proboscis monkeys, crocodiles and water lizards. Many species of birds fly through the branches of Borneo's jungles, and if you're lucky you'll see its most famous – the hornbill, with its distinctive orange beak. Return to the lodge in time for dinner. 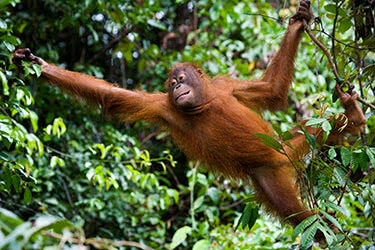 One of the greatest experiences of any Borneo excursion is coming face to face with an orangutan. 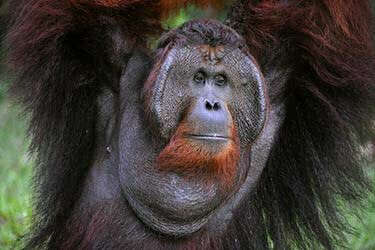 Today you'll do just that, meeting these gentle animals at Camp Leakey orangutan foundation located in Tanjung Puting Reserve. 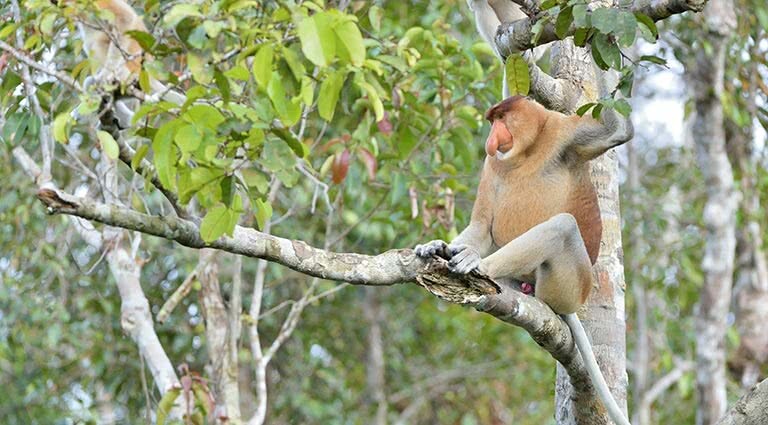 Camp Leakey is a leisurely 2.5-hour cruise along the Sekonyer River, past the mangroves of Black River, giving you another chance to spot local wildlife. 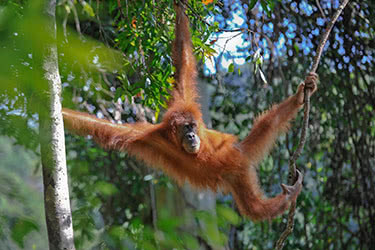 At Camp Leakey, you'll have the unique opportunity to observe and feed the orangutans, meeting the sanctuary's resident dominant male, Tom. 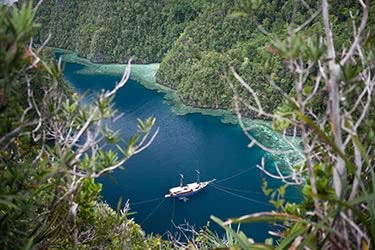 You'll return to the boat for lunch, cruising onward to Tanjung Harapan Village. 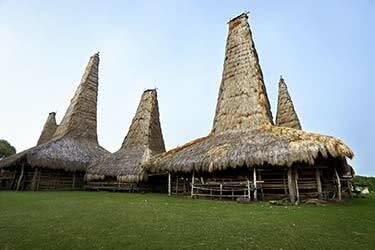 Here, you'll explore the Malayan and Semi Dayak settlements, where you can buy traditional Dayak handicrafts. 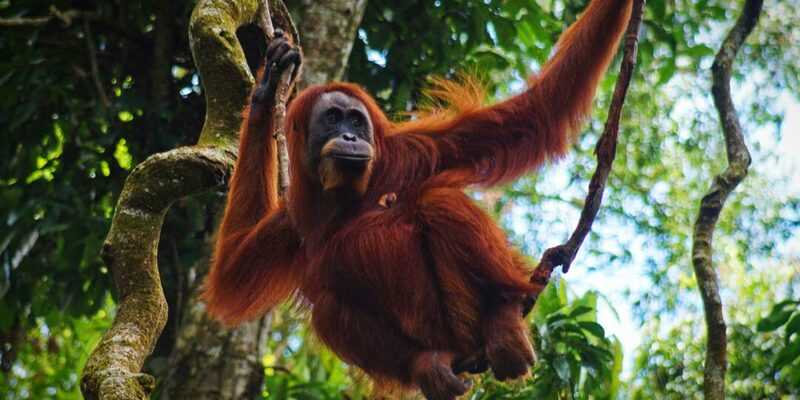 After that, it's on to Tanjung Harapan rehabilitation camp, where you'll meet up with a ranger and see orangutans being prepared for their release back into the wild. 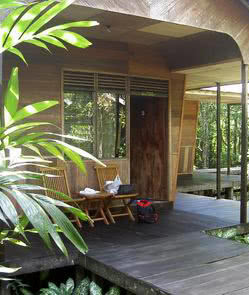 Return to Rimba Lodge for the night. 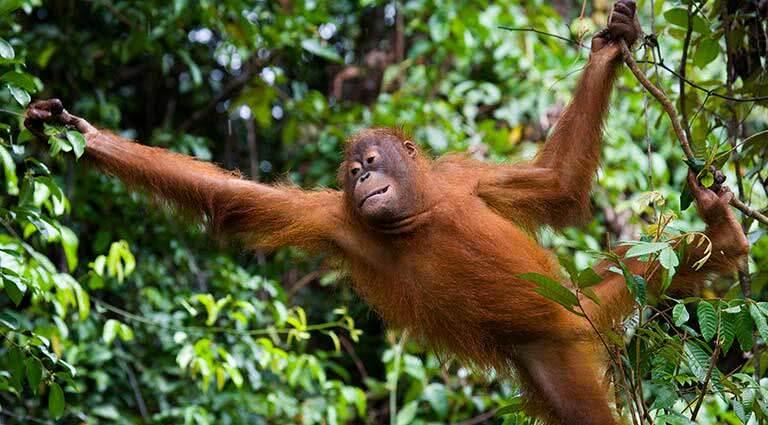 You'll leave the lodge early today to make your flight to Semarang. 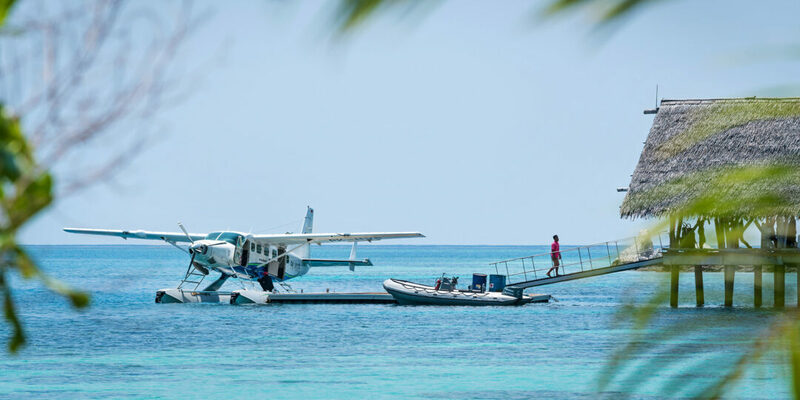 Upon arrival, you'll be met by a guide and escorted to your connecting flight to Karimun Jawa, 40 minutes away. 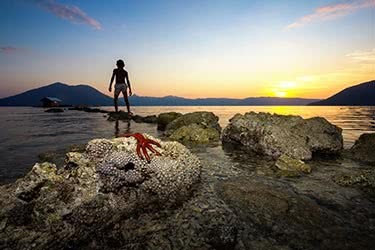 In Karimun Jawa you'll board a speedboat and make the 45-minute trip to Kura Kura Resort on the idyllic island of Menjawakan. Kura Kura means "sea turtle" in Bahasa Indonesia, so-named after the turtles that used to lay their eggs in the sand nearby. After a period of absence, the turtles have returned and the resort has built a sanctuary for the babies where they can grow until they're old enough to be released into the sea. Enjoy a romantic dinner at Kura Kura, which serves up a variety of cuisines, including fresh seafood, authentic Indonesian and Mediterranean. 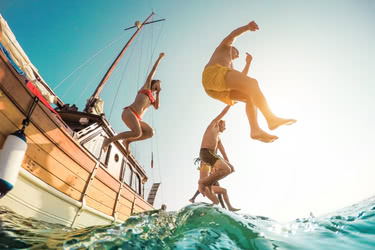 Enjoy two days at your leisure at Kuru Kuru Resort, swimming in the beachfront pool, lazing on white sands, diving nearby reefs, and kayaking around the calm waters of the lagoon. 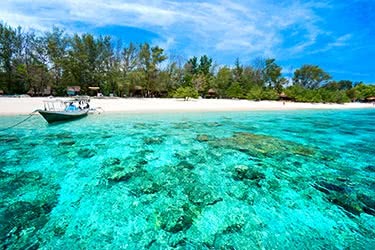 The Karimunjawa Archipelago offers a wide selection of world-class diving sites, with wrecks, fringing reefs and barrier reefs within close range of Menjawakan Island. Enjoy more beach time today, or some beach lounging under the tropical sun. Alternatively, you may choose to spend your time enjoying cocktails on your patio. Accommodation at Kuru Kuru Resort is stylish and luxurious, offering rooms equipped with all modern conveniences – many with their own private pool. 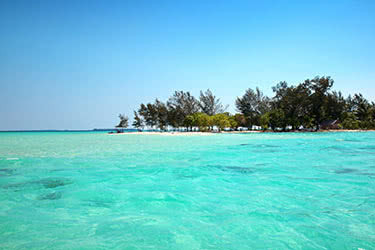 You'll depart Kura Kura Resort after breakfast today, taking the speedboat back to Karimun Jawa. 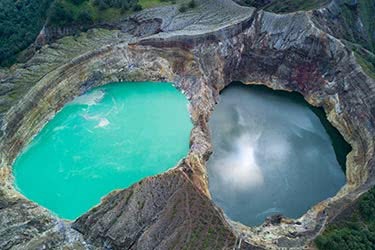 From there, you'll fly to Semarang – a flight of just 40 minutes – where you'll be greeted by your guide and escorted to your beautiful accomodation at the Hotel Tentrem in Yogyakarta. 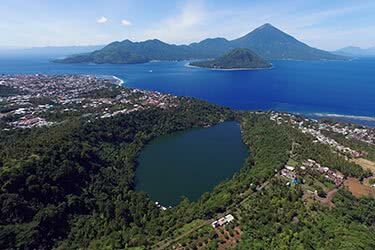 The three-hour drive across Central Java provides beautiful scenery as you wind between the lush green hillsides of active volcanoes. Once at the Hotel Tentrem, rest and reshen up before going to see the Prambanan Hindu shrine. 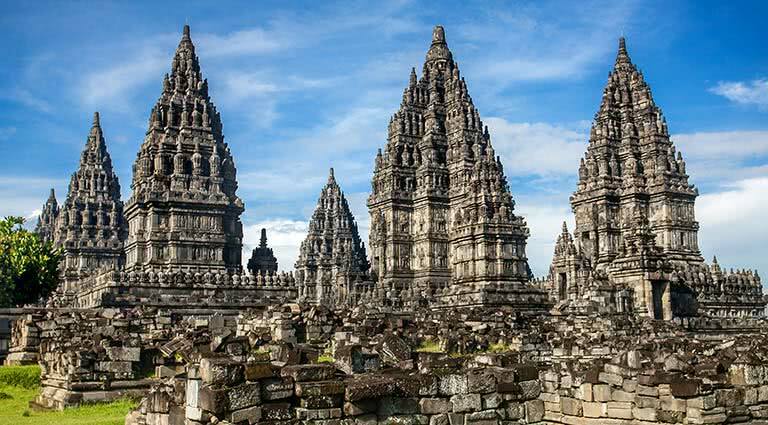 This intricately carved 9th-century structure bears stone reliefs that tell the story of Ramayana, an epic poem that acts as an allegory for ancient Hindu teachings. After seeing the Ramayana carvings in person, you'll be treated to a dance performance interpreting their meaning. Enjoy dinner as you watch the show in the garden restaurant of Purawisata. In the evening, head back to the Hotel Tentrem and enjoy some of their amenities, which include an art gallery, tennis courts, a swimming pool, and their Gahara Spa and Fitness Center. Today you'll enjoy some sightseeing throughout Yogyakarta, starting with the Kraton Ngayogyakarta Hadiningrat – the Sultan's palace, a living museum showcasing Javanese culture. Built between 1756 and 1790, the kraton's design replicates the Javanese-Hindu Kingdom, with each architectural feature representing a different mythical location. Next, you'll go to Taman Sari Complex – also known as the Water Castle – an 18th-century royal garden retreat with an artificial lake. 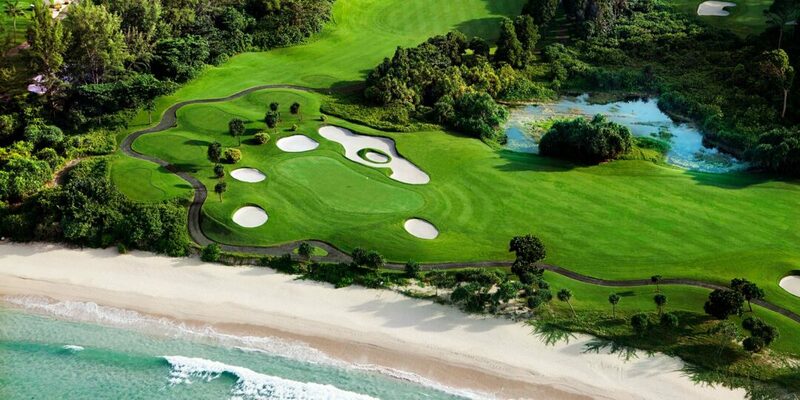 Remarkable architectural features here include an underwater tunnel, sunken bathing pools and meditation chambers. 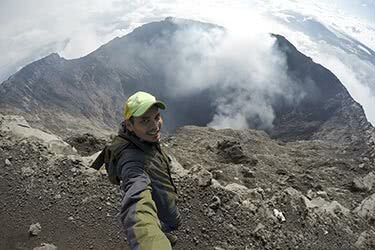 This morning, you will leave Yogyakarta for Borobudur, an approximate 75-minute drive. 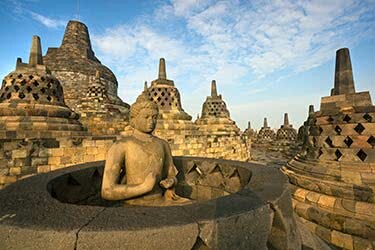 Today, you'll visit Borobudur's most famous landmark – the Borobudur Mahayana Buddhist Temple. 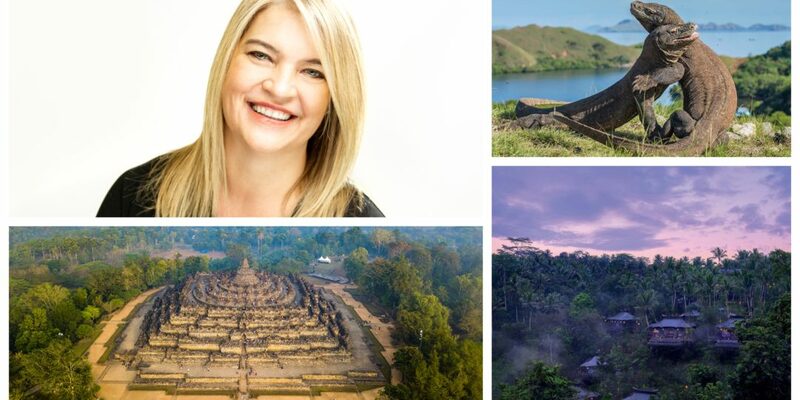 This beautiful UNESCO World Heritage Site was constructed in the 9th-century, and seeing the sunrise here is a profoundly spiritual experience. 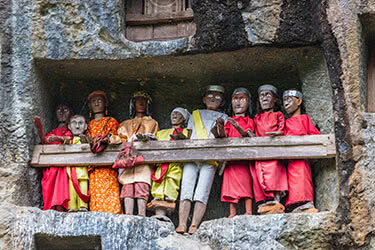 A private guide will walk you through the temple grounds, explaining the myths carved into its stone reliefs. 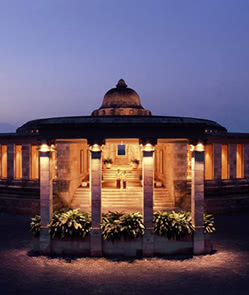 Today, you'll also visit Mendut Temple in Candirejo Village, home to a large Buddha Sakyamuni statue. 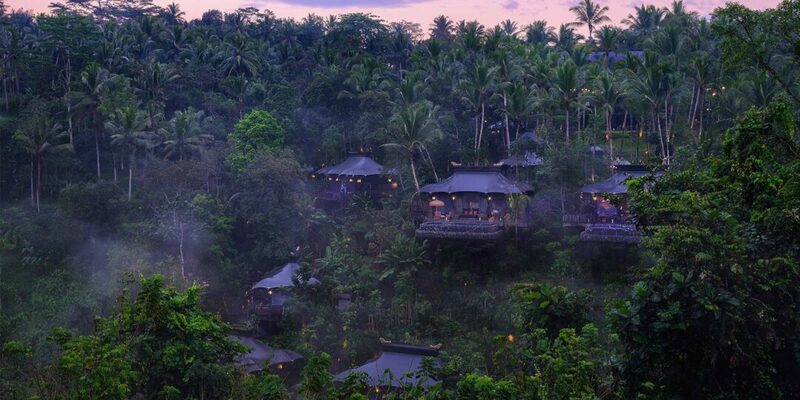 This evening, we recommend that you stay at either the stunning Amanjiwo or the eco-friendly Plataran Borobudur. Enjoy a hearty breakfast at your hotel this morning before being transferred by private vehicle to the airport for your departing flight. 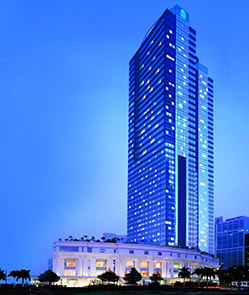 Located in the bustling commercial district of Mega Kuningan, the Ritz-Carlton Jakarta is one of the capital's most luxurious five-star properties. The hotel offers 333 luxurious rooms and suites including one Presidential Suite, three Ritz-Carlton Suites, 31 Mayfair Suites, two Grand Spa Terrace Villas, 298 spacious guest rooms and club level rooms. All rooms have floor-to-ceiling windows, high quality linen, sunken bath, designer bathroom amenities, ironing board and iron, free WiFi, LCD TV and a fridge and minibar. The hotel spa and fitness center is one of the finest and most exclusive in Jakarta, and offers a range of invigorating spa treatments. Dining options consist of Asia, an all-day international/Asian buffet; Lobo, a chic high-end Italian restaurant that also serves over 100 different martinis; and Tempus, a sophisticated bar, nightclub and karaoke lounge. 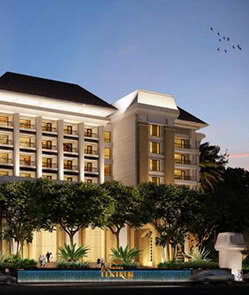 This elegant, luxurious five-star boutique hotel in Jakarta is located in Kebayoran Baru, an exclusive residential area in Jakarta. Consisting of 64 rooms and 36 suites, each guest room and suite opens onto a large private balcony. All rooms and suites are adorned with fabrics and art pieces, and feature dual-line telephones, data port, high speed internet access, briefcase-sized safes, fax machines and multimedia entertainment centers. 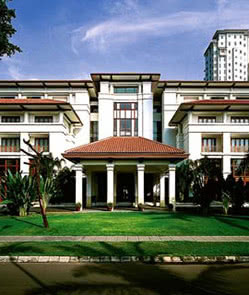 The hotel is home to three restaurants: Jakarta, which serves Indonesian, Asian, and Western fare in a casual setting; Sriwijaya, inspired by the eponymous, eighth-century Indonesian kingdom, which offers French cuisine; and Sekitei, reputedly Jakarta’s top Japanese restaurant. The hotel also offers indoor and outdoor pools, a fitness center, and tennis and squash courts. 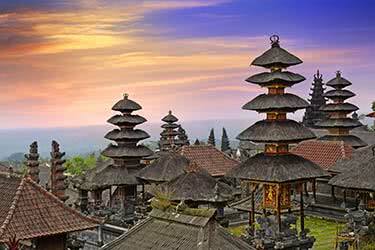 The Dharmawangsa is approximately thirty-three minutes from Jakarta's international airport. 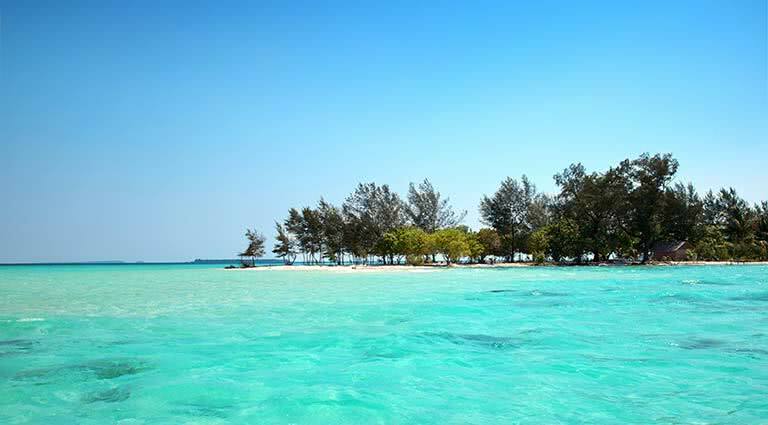 Located in the stunning Karimunjawa archipelago, amongst pristine waters and powdery white sand, Kura Kura is alone on its own exclusive island, Menjawakan. The hotel underwent a serious makeover a few years back, and is now even more splendid and fabulous than ever, featuring well-appointed cottages and villas that provide guests with incredible panoramas of the surrounding coastal scene. 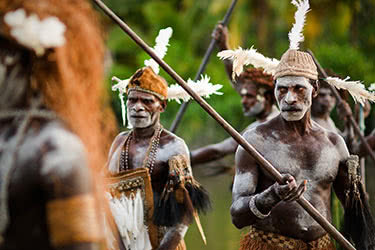 The restaurant serves up fresh, succulent seafood straight out of the waters that lap onto the tropical shores. 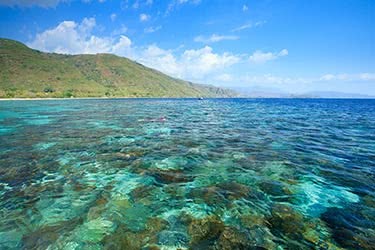 Guests who enjoy sunset cruises and snorkeling with vibrant sea life will be in their own personal heaven here. Hotel Tentrem Yogyakarta takes its inspiration from a Javanese word that, in their culture, refers to a peaceful, tranquil, and calm state of being. This independent hotel prides itself on providing a quality experience to its guests by focusing on every detail. 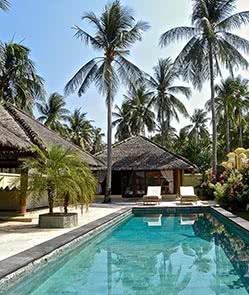 The property is situated just 5 minutes from downtown Yogyakarta and 20 minutes from the airport. Dining options include Kayumanis Coffee Shop for breakfast, lunch and dinner; Eboni Bar and Lounge for light fare and drinks; and The Grand Duck King for lunch and dinner. 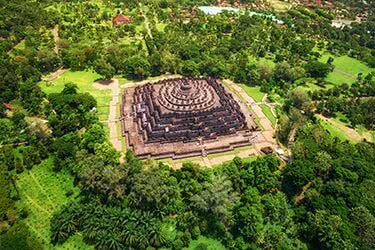 The Plataran Borobudur is a comfortable eco-friendly resort and spa located in Borobudur, an area situated in between two volcanoes in Central Java. 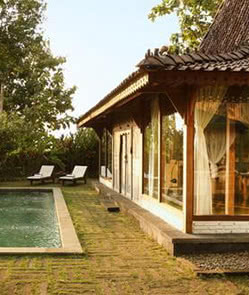 The villas offer views of the Borobudur Temple, Mount Merapi, and the surrounding teak forests. 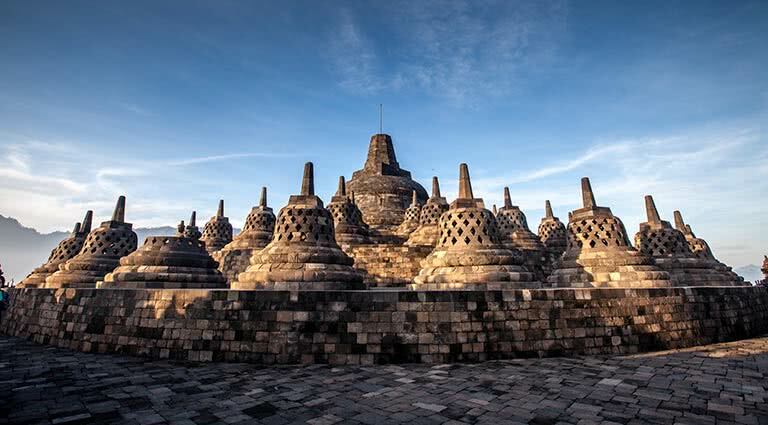 The Plataran Borobudur is located approximately 1 ½ hours from the international airport that services Yogyakarta. 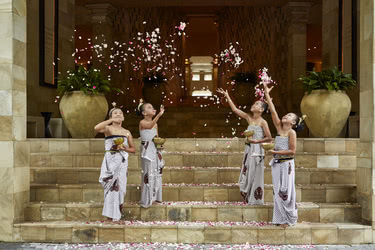 Facilities include the Padma Spa Borobudur, a salon, fitness center, playground for children, and organic garden. Dining options at the resort include the Patio Lounge and Restaurant, the Stupa Lounge, and the Kastil Royal Dining Room.